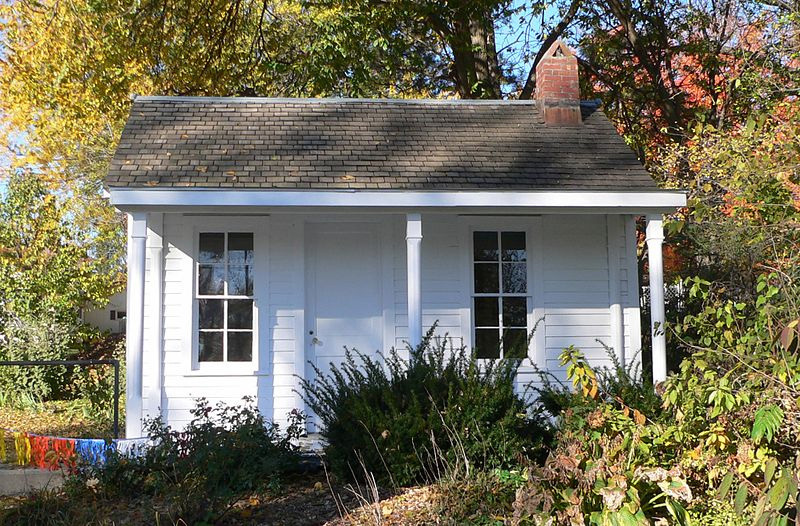 John G. Neihardt study at John G. Neihardt State Historic Site in Bancroft, Nebraska (the study is listed in the National Register of Historic Places); photo by Ammodramus on Wikimedia (public domain image). Nebraska designated John G. Neihardt (1881-1973) as the state's Poet Laureate in 1921. Neihardt published his first book of poetry in 1908. In 1912 he began writing The Epic Cycle of the West - five long narrative poems which became his chief literary work and his most substantial, unique contribution to the history of Nebraska and the West. Nebraska also designated William Kloefkorn (1932-2011) as official state poet in 1982, and another Nebraskan (Ted Kooser) ,was named U.S. Poet Laureate for 2004-2006 by the Library of Congress.